The Uganda National team for Netball, the She Cranes will kick start the campaign to defend the Africa Netball Championship against Namibia. 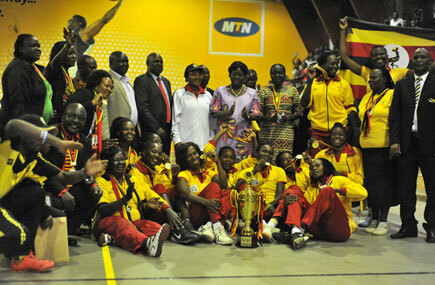 Uganda, won the championship last year in Lugogo, ending the tournament unbeaten after winning all her games. This year’s championship in Zambia, will also act as the qualifiers for 2019 Netball World Cup in Liverpool, England. Uganda will seek to finish inside the top two, to seal a place at the global showpiece. Malawi and South Africa who are not at the event have already qualified and will be waiting for the top two to join them as Africa’s representatives. The tourney started on Monday with a bright opening ceremony before the hosts (Zambia) defeated Botswana 50-43. Uganda are currently 7th on the INF World Rankings ladder. The She Cranes finished 8th in the 2015 Netball World Cup, held in Sydney, in what was only the country’s second ever appearance at the event. The team’s only appearance at the event prior to that was in the 1979 tournament held in the Trinidad & Tobago. Team Coach Vincent Kiwanuka will look at the armory of Peace Proscovia who features for English team Lightening. Namibia ranked the lowest in the competition, finished bottom of the table in last year’s event in Kampala. However, since then, a lot has changed. This year, Namibia finished in first place in a Quad series ahead of Zambia, Zimbabwe and Botswana. Namibia’s last Netball World Cup appearance came in Birmingham 1995 which was the last time the event was held in England.